Stage 1: Travel by ferry from Koh Phangan to the mainland. Stage 2: Travel by bus from the ferry pier to Bangkok. Songserm and Lomprayah services arrive near to the Khao San Road in Central Bangkok. The Jolly Travel service terminates at Bangkok’s Southern Bus Terminal. 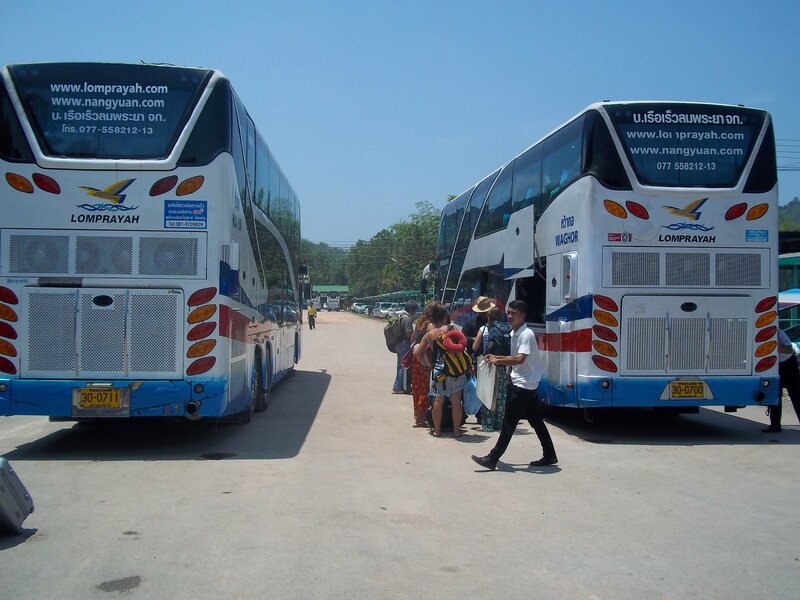 The Lomprayah service uses high speed catamaran ferries which connect with luxury bus services at a ferry port to the North of Koh Tao (near Chumphon) reducing the length of time passengers spend travelling by bus. 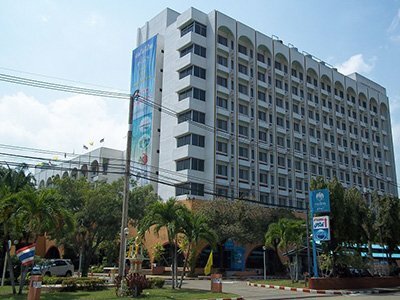 The Jolly Travel service commences with a journey by car ferry to a ferry port on the mainland near to Surat Thani to connect with the bus to Bangkok. The journey by bus from Surat Thani (the arrival point on the mainland for Jolly Travel) northwards to Chumphon (where the Lomprayah ferry terminates) takes over 2 hour 30 minutes which is one of the reasons why the Lomprayah service is a lot faster. Use the Search Box below to buy your tickets from Koh Phangan to Bangkok. After booking you will be sent an E-Voucher which you then exchange at Koh Phangan Ferry Port for your tickets when you check in. After booking you will be sent an E-Voucher which you then exchange at Koh Phangan Ferry Port for your tickets when you check in. I recommend using the Lomprayah High Speed Ferry Company to travel from Koh Phangan to Bangkok because they are the premier transport company in the Gulf of Thailand providing excellent customer service and they specialise in providing fast safe journeys from the islands of the Samui Archipelago to other destinations in Thailand. Reliability: They are safe and arrive on time. Speed: Lomprayah services travel via Chumphon on a high speed ferry and are much quicker than the other joint bus and boat and boat services. Convenient: The transfers between the ferry and the bus are well organised and you are not required to walk long distance or wait in uncomfortable queues. The 08.30 departure from Koh Phangan with the Lomprayah Company is the best one to book if seats are available. The 08.30 departure arrives at the mainland ferry pier near Chumphon at around 12.00. Passengers then have about an hour to relax at the ferry port, which is on a pleasant beach, and have lunch before boarding the bus to Bangkok. I make the journey from Koh Phangan to Bangkok several times a year and I prefer to use the 08.30 Lomprayah departure because it is the easiest and most cost effective way to complete this particular journey. 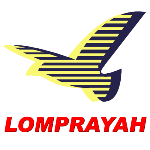 If you travel with the Lomprayah High Speed Ferry Company the bus journey takes around 7 and 1/2 hours, but the seats are comfortable, there is a toilet on board, and the bus stops about 4 hours into the journey for a 40 minute break at a service station. 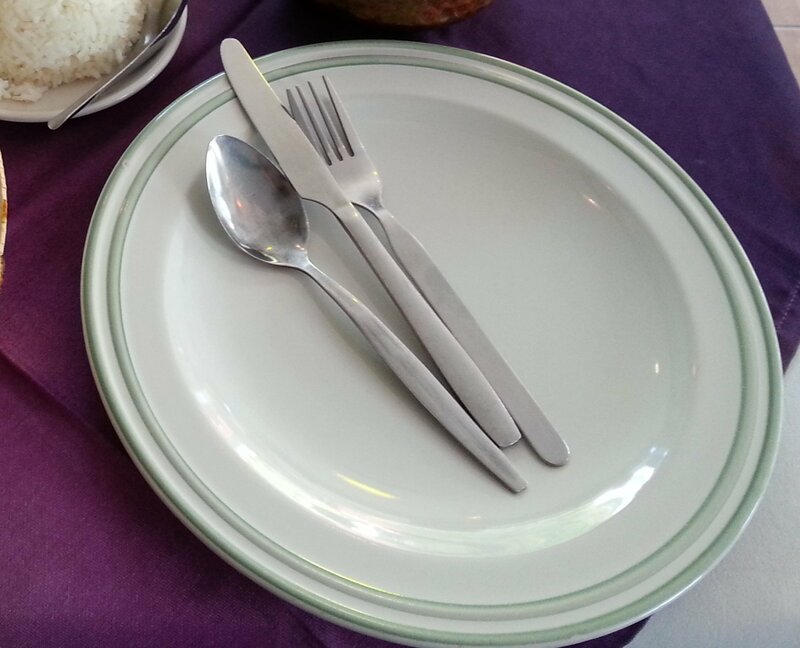 The first Lomprayah departure of the day normally arrives no later than 20.30 in Bangkok, which allows you time to check into a hotel and get dinner before most restaurants stop serving. Journeys from Koh Phangan to other destinations in Thailand start at the pier in Thong Sala, which is Koh Phangan’s main ferry port. Thong Sala can easily be reached by shared taxi (songthaew) from nearly all areas of Koh Phangan. Most resorts will be able to organise a car to take you to the ferry port in time to check in for the journey and board the ferry. All services from Koh Phangan to Bangkok depart from Thong Sala Pier. The Lomprayah service terminates on the Sip Sam Hang Road to the north of the Khao San Road. From the Khao San Road area you need to take a taxi or tuk-tuk to connect with the BTS (skytrain) or MRT (metro services). 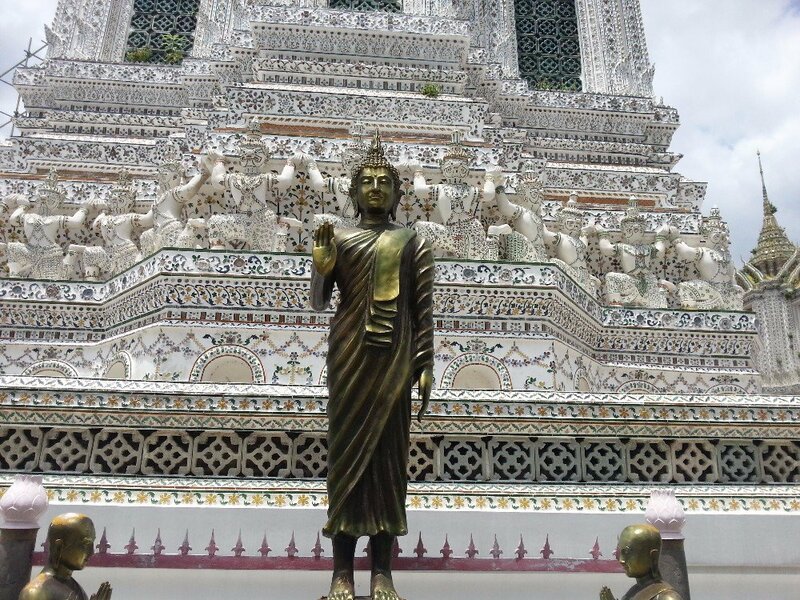 Alternatively during daylight hours you can walk to the Phra Arthit pier and take the Chao Phraya Express Boat service from there to Silom Pier to connect with the BTS train services. The Jolly Travel service terminates at the Southern Bus Terminal in Bangkok. The Songserm service terminates at their office on the Khao San Road.